24 years old Mark Anthony Barriga of Panabo City, Davao del Norte, Philippines is currently scheduled to face Gabriel Mendoza of Colombia on May 13th, possible venue is at Solaire Resort Hotel and Casino, Pasay City. Barriga has an undefeated record of 8 wins with 1 victory by way of KO while the Colombian Mendoza is a veteran with a record of (29W-5L, 23KO). Mendoza is 38 years old now, but has a great boxing experience, he fought two times for a world title bid, he met Alberto Rossel in 2014 for the interim WBA world light flyweight title but defeated by UD, he also fought Jose Argumedo last year for the IBF world minimum weight title but stopped by the Mexican in the 8th round. Winner of this fight will face the current undefeated champion from Japan, Hiroto Kyoguchi. 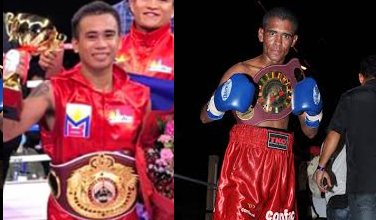 Marvin Sonsona and AJ Banal will also fight in the undercard.